From Julsika’s Acanthus Collection- Subtly intricate detailing has a luxurious and tailored effect that sparkles with feminine romanticism but is also handsome enough for the hand of Mr. Darcy. From Juliska’s Carine Collection - These elegant and sturdy sparklers are perfect to grab and go (think summertime barbecue for a crowd) or to sip and savor- finally opening that favorite vintage, of an evening. 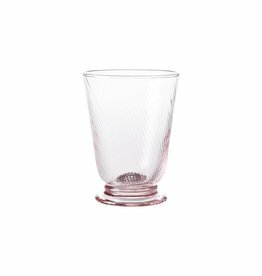 From Juliska’s Carine Collection- Subtly shimmering and textural this satisfyingly sturdy mouth-blown glass is a worthy vessel for any stiff drink.